Claire has 12 years’ experience of curriculum development and teaching social work education both in traditional institutions and on line with the Open University. Claire has held a number of strategic development positions with major mental health charities such as Mind (Operations Manager) and Rethink (National Race Equality Lead). She has also a long history of working with victims of domestic violence and disaffected African Caribbean youth. Claire has 9 years’ experience of teaching social work theory, reflection in practice, advocacy, anti -discriminatory practice, Family Group Conferencing and values and ethics. She contributes to preparing students for practice. Claire has taught in South Africa, Holland as a visiting lecturer and in Cameroon she introduced reform practitioners to the Common Assessment Framework and systems theory. She is also an accredited Family Group Practitioner. In 2013 Claire supported colleagues to undertake a three year evaluation of a Local Authorities Troubled Families Programme. Claire is currently researching the factors that influence academic success on the degree in social work. She has a post GradCert in Clinical Audit thus equipped to undertake evaluative investigations. Claire will be completing her Professional Doctorate in Education in June 2018. Claire is a Senior Fellow of the HEA and a registered social work practitioner with the HCPC registration number SW76599. Claire is an external examiner for London Metropolitan University. 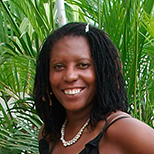 She has an interest in projects that provide economical or social benefits to the Caribbean, in particular the island of St Lucia where she has some social care professional networks.